What a great day at my first Wedding Fair in Plymouth Pavilions. My feet are hurting so much and I have said the word celebrant many times it sounds like celibate! What was wonderful was chatting to people about their ideas for ceremonies. One couple arrived at my stand and I explained that they could have their wedding ceremony anywhere – even on the beach – and the boyfriend suddenly started nodding and smiling. “That is what I want to do” he said with a big grin. They left with a spring in their step full of plans for 2015. September 1st 2013 was a big day in Jacob’s life. 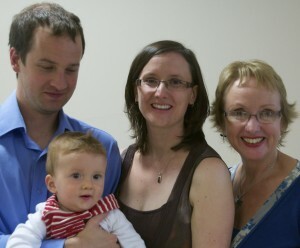 80 of his family and friends met in a local hall to celebrate his Naming Day. Jacob’s Nana made a beautiful Afternoon Tea and guests arrived from as far away as the other end of the country. There were friends on hand to organise every guest to fill in the Wish Bunting – “I promise to show Jacob how to change a plug” up to “I promise to take Jacob to the Seychelles”. All the children put their hand prints on the Tree of Life, and this will go into Jacob’s Memory Box with the Bunting for the future. 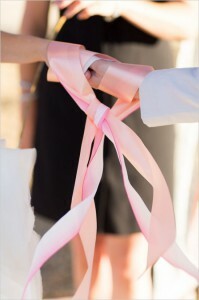 “We were so pleased to have Sarah as the Celebrant for our son’s Naming Day. Sarah was friendly and professional all the way through, helping us to understand the role of a celebrant, develop our plans for the Naming Day and gave us lots of useful ideas for us to work with. We were able to make the day really personal and just as we wanted. Sarah was also our Knight in Shining Armour and saved the day when our helium balloons went flat on the morning of the ceremony. Sarah rushed out to buy us some more, even though it was a Sunday, so that we could end the ceremony just as we planned. I am so pleased when I receive Thank you Cards from families so I know that I have done even a small amount to ease their suffering. It is also important that the family receive a copy of the ceremony for them to keep and look over whenever they wish. I received cards from three families recently and have them displayed on my table at home. “I just wanted to say an official thank you for taking the time to meet my Mum, my niece, and myself, and also for the wonderful service you gave in memory of my sister. Your words were beautiful and comforting, and it is nice to reflect back and read what you said. 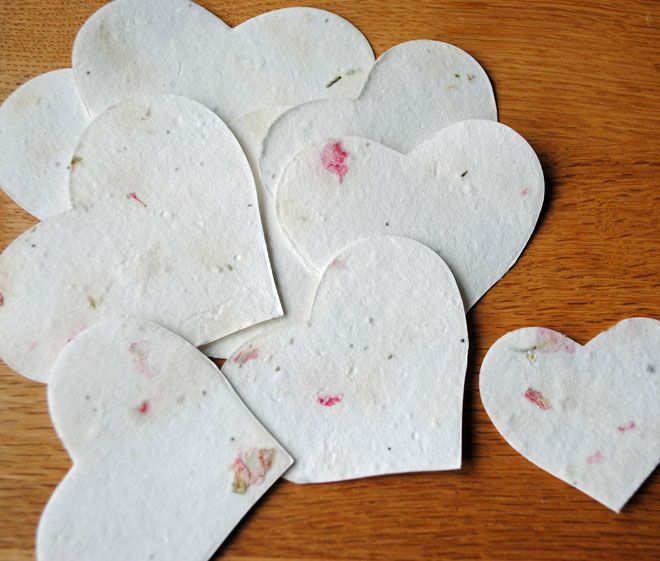 I have started to give families bookmarks containing paper hearts of wildflower seeds so that they can plant the seeds and year after year flowers grow in memory of their loved one.